After the long seven-year wait between Rose Elinor Dougall’s debut, Without Why, and her follow-up, 2017’s Stellular, it’s a pleasant surprise for her third record to appear more quickly. On Stellular, Dougall used touches of electronic atmospherics and dark undertones. A New Ilusion has a more laid-back mood, with some of her most contemplative and delicate compositions to date. It’s a simpler record, but one where she’s at her most bold. The mellow nature of ‘A New Illusion’ is set with opener, ‘Echoes’. The slow shuffle of the programmed drums and simple bass-line recalls Young Marble Giants. It opens up beautifully with Dougall’s harmonies interwoven with hazy synths and twinkling guitars. The self-reflecting ‘That’s When The Trouble Started’ follows and sustains the tranquil mood. It calls back to lost 90s shoegaze greats, Insides, with the dreamy structure and pretty guitar work. Dougall sings with a clarity in her lower register as the keyboards provide a swoonsome backing. The change in tempo in the song’s second half is one of the subtle elements that makes this record so endearing. The production on A New Illusion comes from long-time collaborator Matthew Twaites along with Dougall herself (her first foray into producing). Their choices bring the songs to life. ‘Wordlessly’ is rooted in 60s folk music with its gently-strummed acoustic guitar and layers of ethereal vocals. As the synths appear, it’s a wonderful moment — like feeling the sun on a beautiful summer’s day. ‘Something Real’ is a longing, nocturnal ballad that finds Dougall singing, “give me something I can keep to help the struggle down to sleep without you”. The string arrangement as the song takes off is romantic and cinematic. Even though the arrangements are simple and organic, these songs are some of her most effective. On the album’s single, ‘First Sign’, the gentle groove of the bass is embellished by a horn section and chiming guitars that create a calming familiarity. ‘Christina in Red’ is a lovely blend of baroque pop with one of the album’s lushest melodies. There are dizzying sprinklings of piano as Dougall bluntly asks, “have you never wondered why, you can’t bring your sorry self to cry?”. Waves of harmonies are joined by a saxophone, providing another enchanting moment. ‘Take What You Can Get’ shares the most similarities to Stellular with its bewitching melody and driving bass. 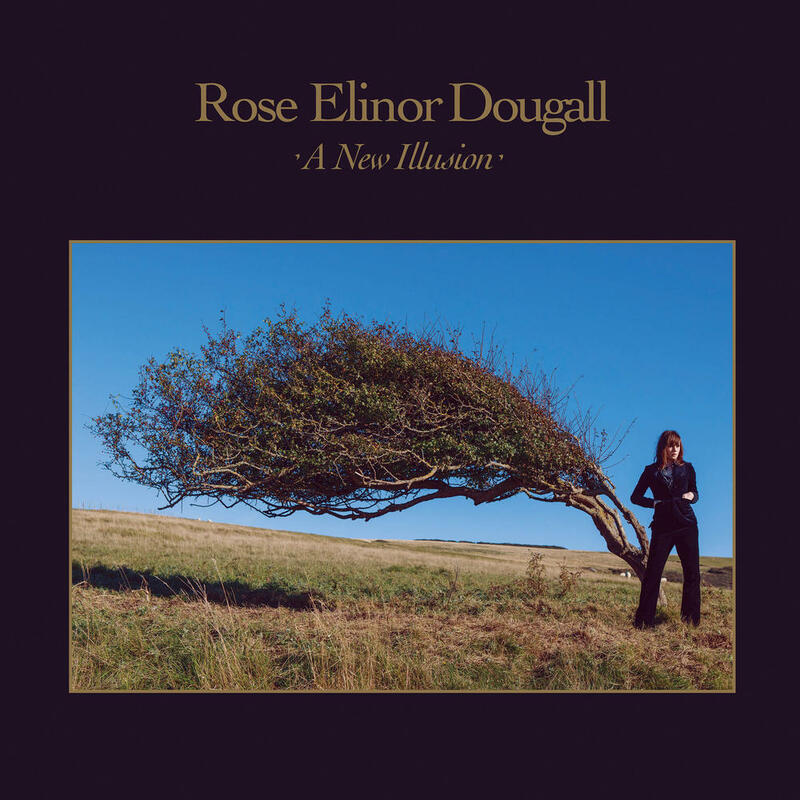 Dougall fills the song with some of her most evocative lyrics — “I spent the day with you in the ether, existing within smashed moments together”. The accompanying reverb gives her voice a subtly haunting quality. After a long winter, the timing of A New Illusion is perfect for the incoming (and much awaited) springtime. Dougall’s warm melodies radiate a nostalgic feeling of comfort. This beautiful record is 45 minutes of escapism from someone who has quietly become one of the best and most underrated songwriters around.